This picture displays a riderless horse with a geometric form that mathematicians call a stellated dodecahedron (a star-shaped form with twelve faces). 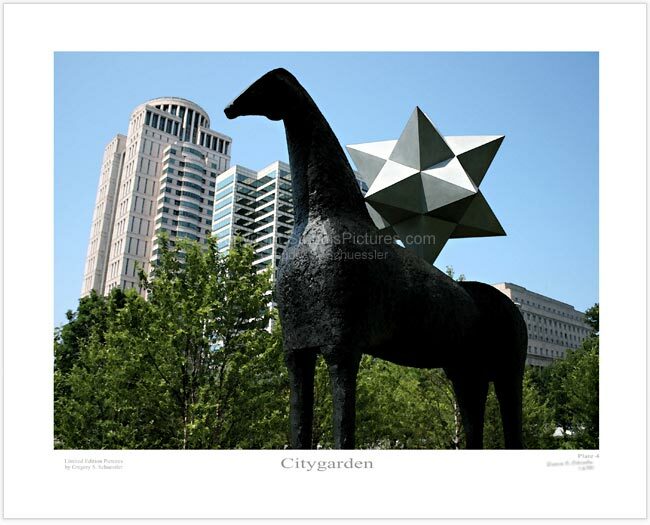 This stellated dodecahedron appears to balance on one of its points on the horse's back. Mimmo Paladino, born in 1948, is the artist of this bronze scuplture which is on display within the Citygarden in downtown St. Louis.